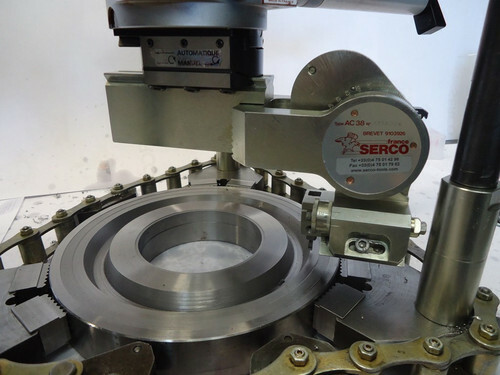 The SERCO AC38 option is a device capable of machining all angles from 0° to 180°. This device can be fitted to most of the SERCO portable machining unit: TU 400, TU 600, TU 1100, TU 1200 and TA 240 thanks to specific adaptations for each type of machine. With the RTJ option, 2-slope interior and exterior conical machining can be done at an angle of 23° to vertical (or other angles). The RTJ option can also be used for machining groove bases.